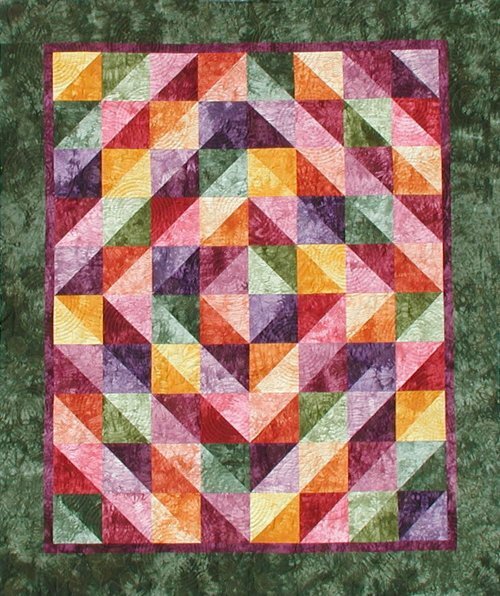 Easy quilt kit using a fast method of making half square triangles. Made with our Happy Harvest 20 pack. Quilt finishes 76" x 90".